Dr. Walter Kostrzewski, otherwise known as “Dr. K”, graduated from Tufts University School of Dental Medicine in 1992. In 1993 he completed a General Practice Residency at University Hospital in Stony Brook, NY, with an emphasis on treating the medically compromised patient, dental trauma, sedation and treating the fearful dental patient. Since then he has had completed many hundred hours of CE. Dr. K is also earned a BS degree in Biology from Villanova University. Dr. K was a “Sustaining” member of the American Academy of Cosmetic Dentistry from 2002-2007. And in 2003 was listed in “New York Magazine” as one of the New York area’s best cosmetic dentists. He is also a member of ADA, DOCS, and a Fellow of the International Academy of Dental Facial Esthetics. colleagues know him, continued to quench his thirst for dental education and has satisfied hundreds of hours of continuing education. In 2000 and 2001, Dr. K completed the entire continuum at PAC-Live, the nation’s premiere, hands-on live patient continuing education program. He is a Fellow of the International Academy for Dental Facial Esthetics (IADFE), a select of group of individuals who are committed to the pursuit of excellence through continuing interdisciplinary education in the field of facial esthetics. Dr. K also achieved fellowship in the Academy of Comprehensive Esthetics (ACE), a highly regarded credentialing process designed to evaluate dental professionals who are committed to advanced learning, attention to detail, and clinical excellence. ​Dr. 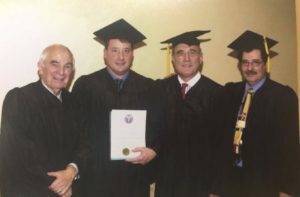 K was a clinical instructor at the prestigious Hornbrook Group in Chicago, where he trained other dentists in cosmetic dentistry and full mouth rehabilitation. 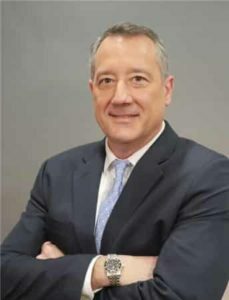 In addition to his affiliation with the Hornbrook Group, Dr. K speaks nationally in front of his peers, has published numerous articles featured in dental journals such as Dental Town, The Crown Council, and the Dental Leader. 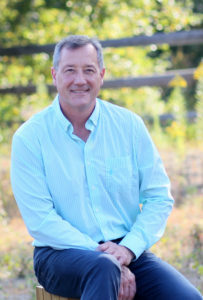 Dr. K also consults and teaches with major dental manufacturers, as well as dental laboratories who all value his extensive knowledge of the dental industry. ​Also known as “Coach K”, he has a flair for creating passionate teams! In 2000, “Coach K” founded “The Winning Dentist,” a team of consultants to help others develop passionate teams, functional work systems, and provide motivation and congruent marketing. In addition to his numerous published articles, Coach K recently authored a resource manual “Creating Passionate Aesthetic Dental Teams.” This publication is designed to aid dentists, office managers, and their counterparts how to create their own winning team. His forthcoming book “Leading and Developing the Ultimate TEAM” will be available in the Spring of 2018. When not practicing dentistry, Dr. K is an avid skier and golfer, depending on the season, and a hockey player and coach. Despite playing for 40 years now, including college hockey in the ECAC/S while at Villanova, he has yet to lose a tooth! Dr. K has three boys Luke, Alex and Aiden. Happily married to Kristen. They play golf together regularly. In the winter months, they ski and work out together, and are learning ballroom dance.